Please join us this week for our November Open Shop. just like to drop in and come check it out you’re also welcome. This is a reoccurring event, the 3rd and 4th of every month. 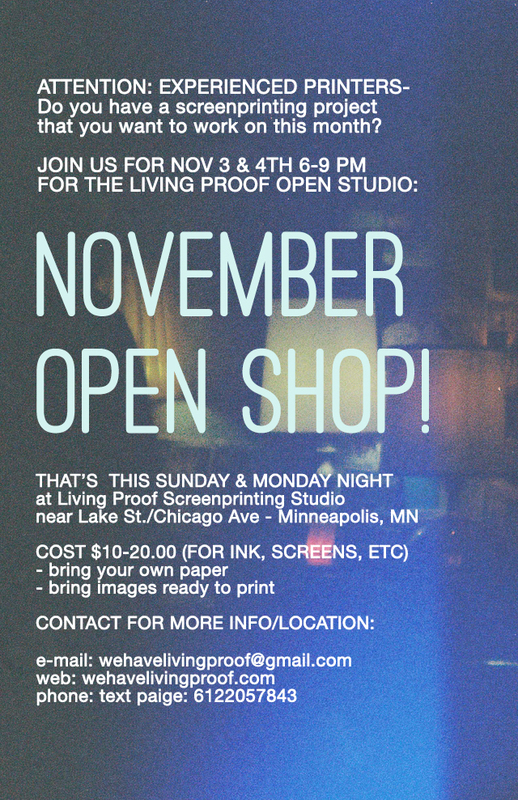 This month’s Open Shop is this Sunday and Monday 6-9 pm. e-mail/drive) that can be reasonably printed out on to 8.5x11in). hand so we can talk about what the right set up for you is. Not an experienced printer but know someone who is? Refer them to us! We’d love to expand our community.